Chrysler Hall is the premiere performing arts venue in Hampton Roads. 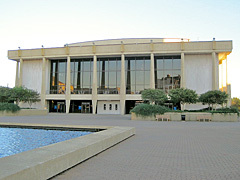 Each year Chrysler Hall host a variety of firt-rate entertainment including concerts, comedy, symphony concerts, and traveling broadway shows. The hall has a seating capacity of 2,500. 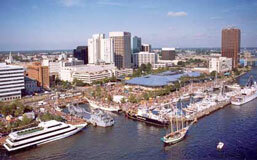 Chrysler Hall is located in the heart of downtown Norfolk, VA. The hall is adjacent to the Norfolk Scope Arena and shares a parking facility. A large entrance plaza with fountains and dramatic exterior lighting makes the hall an impressive destination for event attendees. 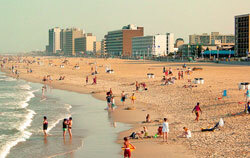 And the downtown location is both easily accessible for local residents and convienient for visitors to the city. More things to do while you're in Norfolk. Wyndham Garden Norfolk Downtown Formerly the Norfolk Plaza Hotel and the Crown Plaza Norfolk. The closest hotel to Chrysler Hall and Scope. Rooms have complimentary wireless internet access, flat screen HDTV, coffee maker, and other amenities. Located across Bramblton Avenue from Scope and Chrysler Hall. Tazewell Hotel & Suites Originally constructed in 1906, the Tazewell hotel reopened in 2000 following a $7 million restoration. About a three block walk to Chrysler Hall. Courtyard Norfolk Downtown Downtown hotel with a newly renovated lobby. Rooms have free high-speed internet access, luxuious bedding, and small refrigerators. Located one block from MacArthur Center Mall. Norfolk Waterside Marriott A little further away from Chrysler Hall but very convenient to Waterside, Town Point Park, and Nauticus. Many rooms have nice views of the Elizabeth River. Check our Hampton Roads concert schedule for upcoming concerts. Tickets can be purchased at the Scope Area box office, by phone, or online at ticketmaster.com. Find deals on Chrysler Hall event tickets at Ticket Liquidators. The address for Chrysler Hall is 215 St. Pauls Blvd, Norfolk VA 23510. It is located adjacent to the Norfolk Scope Arena. .
Visit the Chrysler Hall website for driving directions.